Jaguar E-Pace Boot Space, Size, Seats | What Car? So far, all the E-Paces we’ve tried have been fitted with a panoramic roof – a feature that almost always impacts on head room. 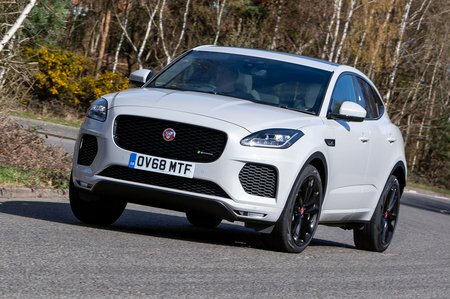 Even so, you’d have to be very tall to notice your barnet brushing the E-Pace’s ceiling, while the front seats slide back far enough to accommodate anyone long in the leg. There’s also plenty of width to ensure you won’t be shoulder to shoulder with your passenger. The front door pockets are rather slender, but there’s a small tray in front of the gearlever to stow your phone, plus a couple of cupholders in front of the central armrest. Look under this armrest and you’ll find a giant cubbyhole, while the cupholders can be popped out for even more storage space. 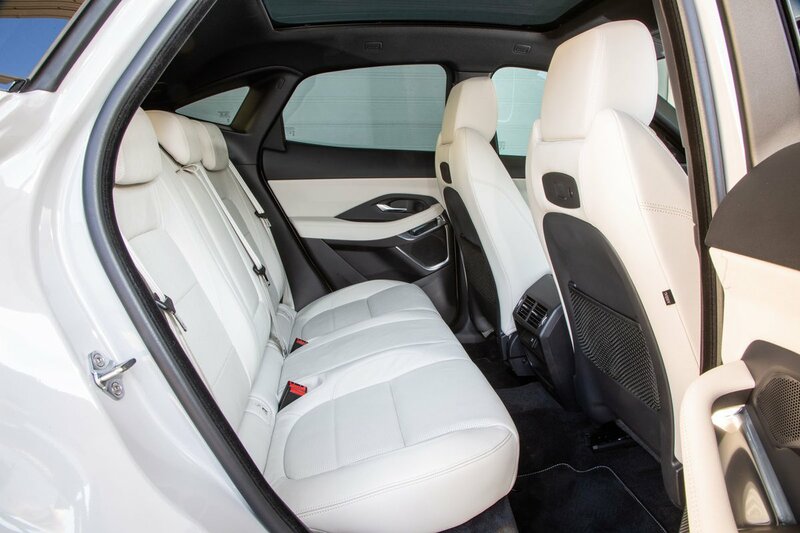 The E-Pace has enough rear leg room to keep tallish adults fairly happy, provided they’re not sitting behind six-footers. If you do have someone vertically gifted in front of you and you’re similarly blessed, then you may find your knees digging into the front seatbacks. That said, rivals such as the BMW X1, Volkswagen Tiguan and Volvo XC40 are considerably more accommodating in this area. Head room is better; even taller adults are unlikely to find their head brushing the roof. That’s impressive considering all E-Paces we’ve tried have been fitted with panoramic roofs. 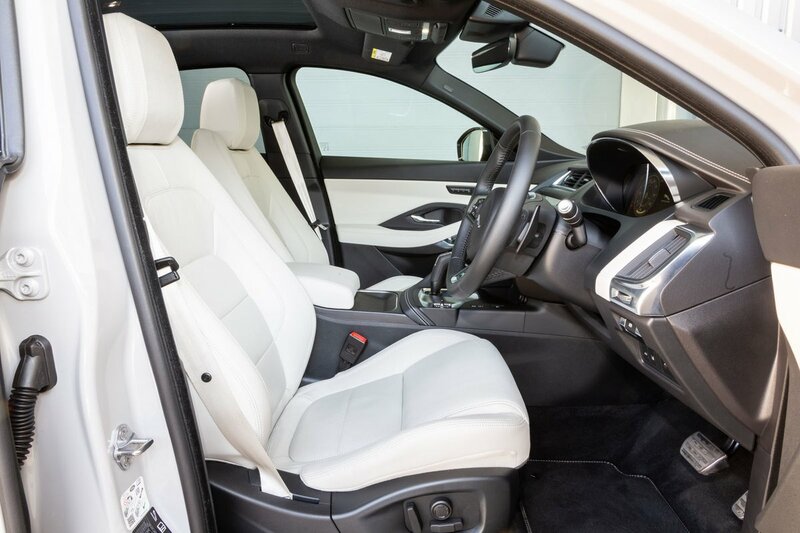 Thanks to a flat, bench-style seat, three smaller adults should be able to sit side by side in relative comfort, but they’d feel less squished in the X1 or XC40. While rivals such as the X1 and Tiguan are available with sliding and reclining rear seats, the E-Pace isn’t anywhere near as clever. Nope, its rear seats are the same as those in most conventional hatchbacks – that is, they can be folded down in a 60/40 split. A 10-way electric front passenger seat is standard on S trim and above, while SE and HSE models come with an even greater range of electric seat adjustment. Here’s an example of why you can’t always trust official boot capacity figures. You see, Jaguar claims 577 litres (with the rear seats up), suggesting the E-Pace can carry more luggage than the X1. In fact, the opposite is true. The boot is far from poky, though. You can still (quite easily) fit six carry-on suitcases inside – more than you would in an Audi Q3. The load area is a nice square shape, too, with a wider recess right at the back of the car – a handy feature if you play golf. There’s no lip to speak of at the boot entrance and there’s a small amount of underfloor storage. Fold down the rear seats and they lie almost – but not quite – flat. The extended load area is big enough for most family chores, although, again, rivals including the X1 and Tiguan will carry more.